Bowmore will auction 2 bottles of the 54-year-old whisky (for a pretty penny); only 12 bottles exist. Want to add some 54-year-old single malt to your liquor cabinet? Better be willing to pay a hefty price. Bowmore has decided to auction two of its 12 bottles of Bowmore 1957 Year Single Malt Scotch Whisky — the oldest single malt ever released from Scotland’s famous whisky-producing island of Islay. 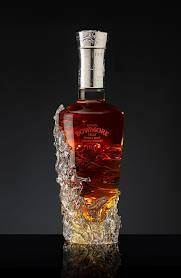 What makes this Bowmore so rare? The finished product spent 43 years in a second-fill sherry cask, then the next 11 in a second-fill bourbon cask, reports The Spirits Business.